I was tired of feeling anxious, stressed and overwhelmed. I woke with tension in my shoulders and in my jaw. I had spent a lot of time on personal development, I was generally happy, but couldn’t shake off this feeling, a feeling of anxiety, a feeling that perhaps I was day dreaming or drifting through life. Like many people I confused trying to be thought-free with meditation and then confused meditation with mindfulness. 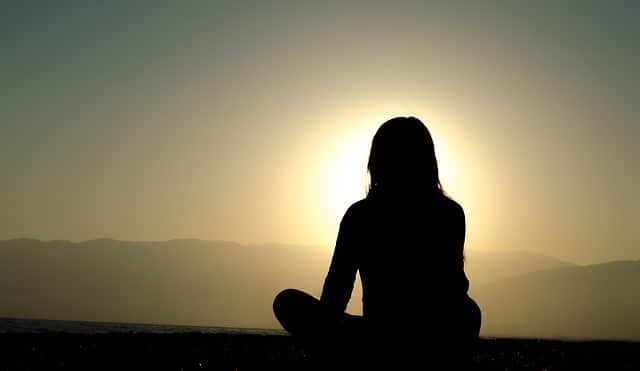 As I have explored the topic with numerous courses, books and exercises, I have found meditation is not about having no thoughts running through your head, it is more about stepping out and observing the chaos of one’s mind. To illustrate, picture yourself at a busy train station, where everyone is going in all sorts of directions and you are stuck in the middle of the chaos. Now picture yourself stepping out of the traffic, perhaps to the side against a wall, you take a moment to enjoy not having people coming at you from all directions, then after a while you look back at the chaos, but now you realise that it’s not chaos, there is a flow and a direction to the movements. You can then step back in to the traffic, but this time with a greater calmness, you understand the flow and move with it, not against it. It is much easier. The traffic is still there, but you are different. This is what mindfulness can bring to your life. A regular meditation practice is the most popular exercise or practice that allows you to be more mindful, but it is not means the only way. Our brains can consciously only process a limited amount of information, so our subconscious brain has a nifty trick of filtering out what it considers irrelevant. If you think about our forefathers on the plains in Africa, they had to be alert to danger as their survival depended on it. If a lion was around, that information had no problem going through the filter as it signified danger and our ancestors responded with one of “Freeze, flight or fight”. The breaking through of the filter was fine, because it didn’t happen often. These days advertising, social media and news media all try to do the same trick to break through our filter. Statistically there has never been a better time to be alive (don’t believe me, read Abundance and Progress), but daily we hear “It’s getting worse”, to which everyone nods in agreement. News media is designed to make us feel like its Halloween every day, this is done in order to keep our attention. There is good news though and that is through a series of simple exercises and mindset shifts you can lead a more peaceful and fulfilling life, with better quality sleep, relationships, and peace to reach your aspiration. Stop Interrupting (Although reduce is probably a more achievable goal) – when someone is talking, if you are thinking about what you are going to say in response, you are not being mindful and the person you are speaking with will pick up on it subconsciously. Verbal communication has been around for a far shorter period than Physical communication or body language. So we pick up and trust the body language above the spoken words. A simple way to to do this is to develop a simple trigger when you find your mind wandering – such as focus on your 1-2 breaths or the sensation in your toes and then quickly come back. Spend 2 minutes alone just sitting – For many this will be an incredibly long time. Just see how you feel afterwards. Go outside – Find a patch of grass, take off your shoes and if you are feeling particularly adventurous, find a tree or plant to touch. Use toddler like fascination on an object – Find an object and look at it like you are looking at it for the first time. Even something you are familiar with, it will probably be the first time you have really looked at it. Perhaps use your right shoe, maybe even compare it to the left – are there noticeable differences in the tread? Which do you put on first? Are they laced differently? Have they worn differently? Take time to enjoy a meal today – Switch off all distractions and take a few minutes to enjoy a meal. Taste it, feel the textures, smell the aromas. How often do you practice mindless eating? Start a mediation practice – There are numerous different methods that work. The key is consistency. You can use our recommended resources as starting points. Book – Teach Yourself to Meditate, App – Headspace and Audiobook – Mindfulness. Take a Mindfulness course – Mindfulness is a lifelong practice that you can begin today with this course. Which includes the following sections. Week 1 – Quietening the noise and negative framing – is about reducing the excessive stimulus to enable you to feel less overwhelmed and calmer; Week 2 – Becoming more present – the exercises will enable you to train yourself to be more present in the moment; Week 3 – Linking the conscious to the sub-conscious – allows you to be more focused and successful as you harness the connection.